Whenever possible, store cartridge upright! If cartridge has been left on its side or inverted, please let it stand upright to allow oil to travel back down to heating element. For Classic cartridges, we recommend doing this for at least 3 minutes, and for Signature cartridges, at least 10 minutes. 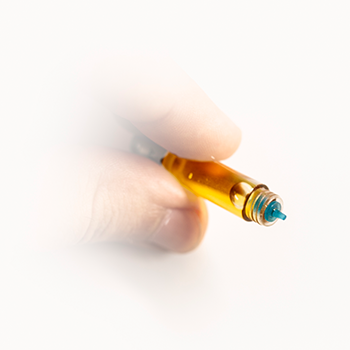 Store cartridges in a cool, dry place, ideally between 50 and 75º F. Do not store in car or outside overnight! Otherwise, clogging, discoloration, and other malfunctions are more likely to occur. When not using, please detatch cartridge from battery, and store separately. If not, cartridge may adhere to battery. See troubleshooting tips if this happens! 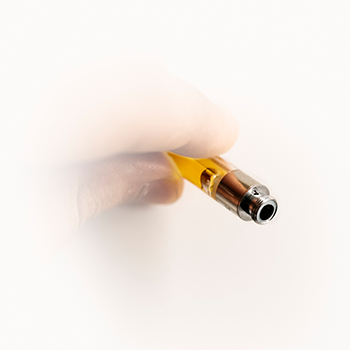 Pre-heat cartridge for 10 to 30 seconds before first-use, and after 10 minutes of non-use. Some batteries have a double-click preheating function. Otherwise, simply activate your battery for 10 to 30 seconds to warm up cartridge. Occasionally, you may hear a slight pop, which is the sound of the cartridge unclogging. See below for instructions on how to resolve issues with Active, Balance, or Relax standard cartridges. Did the metal pin from your cartridge stick to the battery like this? Read on. If so, the cartridge will now look like this. 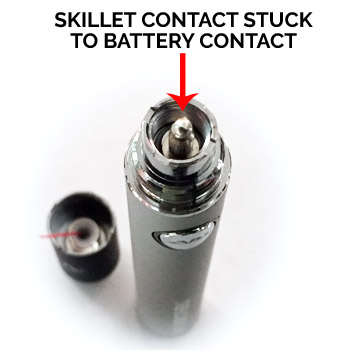 If this happens, remove the loose contact pin from the battery and place back into the bottom of the cartridge. It should now look like this! Then, use a bit of rubbing alcohol to wipe away any sticky substances left on battery or bottom of cartridge. If the above steps don't work, please unscrew the mouthpiece and press down blue rubber stopper to ensure the top of the cartridge tank is sealed.